July 2015 - Touch Display Research, Inc.
Today California-based startup company Qeexo announced that Huawei adopted its FingerSense technology. 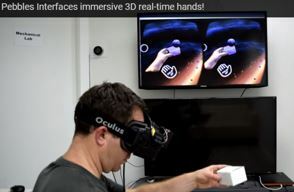 As we covered over a year ago, startup company Qeexo has software to detect if it is finger touch, or knuckle touch, or nail touch, or pen touch. Qeexo was founded in September 2012. In May 2014, Qeexo announced it raised $2.3 million series A funding, led by Sierra Ventures. Now, Qeexo announced its first smartphone brand customer–Huawei. 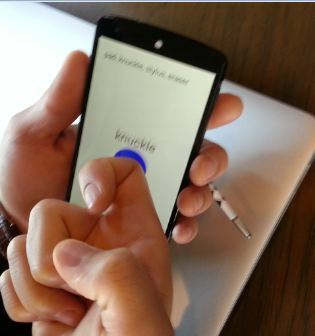 Actually, Huawei has adopted FingerSense several months ago on its P8 smartphone, but Huawei re-branded the technology as “Knuckle Sense”. Figure: Qeexo’s FingerSense could tell “finger touch” from “knuckle knock”. 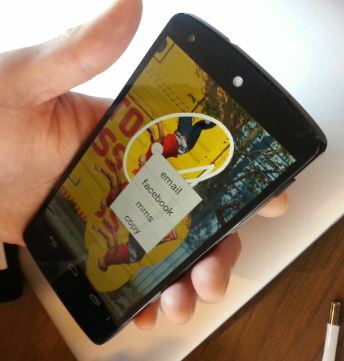 “FingerSense adds a layer of intelligence to smartphones that enables faster access to core features and creates a far more powerful experience for users,” said Sang Won Lee, CEO of Qeexo. More analysis of Qeexo’s technology and touch panel progress can be found in the “Touch and Emerging Display” monthly report. This entry was posted in Touch screens and tagged FingerSense, Huawei, knuckle sense, knuckle touch, Qeexo on July 22, 2015 by jennycolegrove. I recently had a chance to interview Kodak’s VP of Functional Printing group, Mr. Brian Marks. Mr. Marks indicated Kodak is currently working on two metal mesh technologies: 1. Silver metal mesh, and 2. Copper metal mesh. As we covered before in Touch and Emerging Display monthly report, UniPixel bought the Atmel’s XSense business and facility in Colorado in April 2015. On April 27, 2015, Kodak announced it is committed to moving forward independently with development of copper mesh touch sensor technology, following UniPixel’s decision to withdraw from joint activities with Kodak. “We are pleased to have full control over the technology development program and excited about the business opportunities ahead. We expect to have products based on this technology in the market before the end of this year,” said Philip Cullimore, President – Enterprise Inkjet Systems Division and Micro 3D Printing & Packaging Division. UniPixel and Kodak signed partnership agreement back in 2013. But after about 2 years, the partnership broke up. 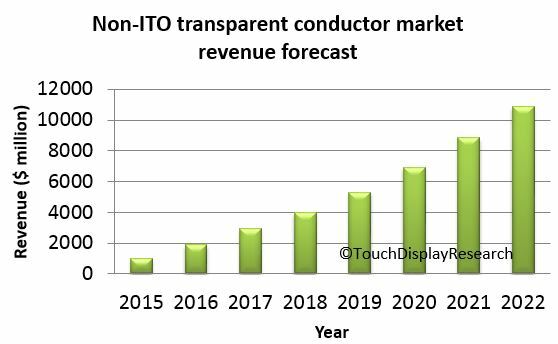 In the recently published “ITO-replacement: non-ITO transparent conductor technologies and market forecast 2015 report“, Touch Display Research forecast the non-ITO transparent conductor market will have rapid growth and reach $10.9 billion in 2022. Source: Touch Display Research Inc. ITO-replacement 2015 report. 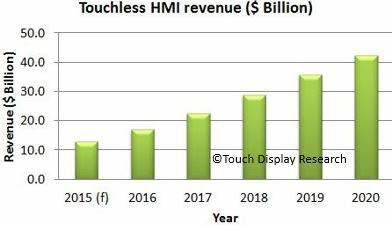 More analyst about Kodak touch sensor technologies, supply chain and business will be in the “Touch and Emerging Display monthly report”, July 2015 issue. This entry was posted in ITO replacement, Touch screens and tagged copper metal mesh, ITO Replacement, Kodak, market forecast, metal mesh, silver metal mesh, Touch sensor, UniPixel on July 15, 2015 by jennycolegrove.